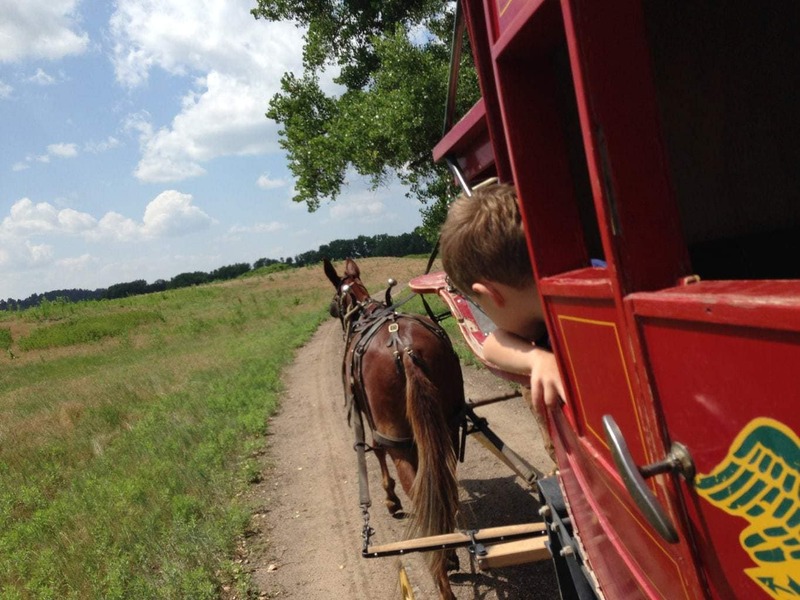 One of Nebraska’s most popular state parks, Fort Robinson State Park captures the essence of western life with chuckwagon dinners, trail rides, stagecoach rides and so much more. A favorite for adventurous kids is the off-road jeep experience through the rugged terrain. Fort Robinson will prove Nebraska isn’t completely flat. The state’s most-visited museum is Omaha Children’s Museum. Popular permanent exhibits include the preschooler-favorite Imagination Playground, as well as the S.T.E.A.M. Cave where kids can explore S.T.E.A.M. concepts in a fun environment. The museum has two temporary exhibit spaces that change frequently, as well as a carousel and mini train. Nebraska’s largest city, Omaha, is home to one of the world’s best zoos. 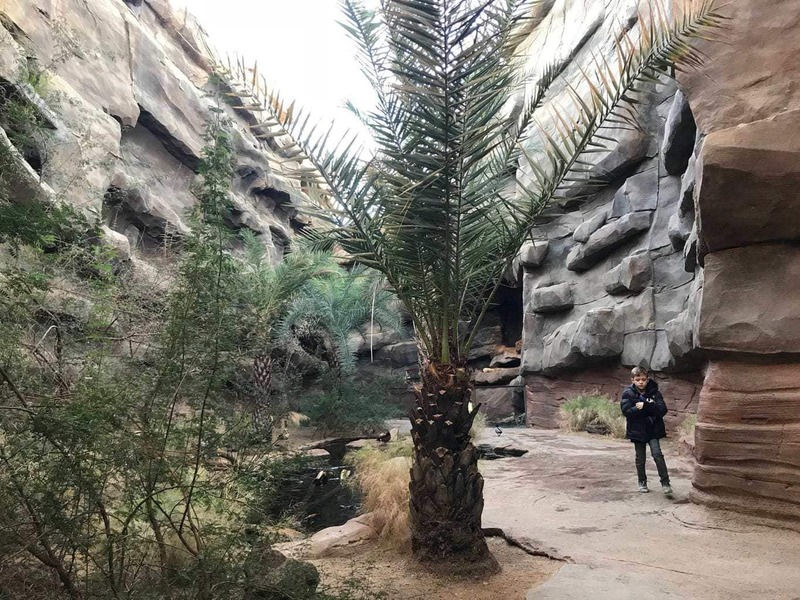 At Omaha’s Henry Doorly Zoo & Aquarium, explore the indoor rainforest, Desert Dome, and new outdoor exhibits like African Grasslands and Asian Highlands. Kids will love the splash park called Alaskan Adventure, and as well as the Children’s Adventure Trail; both are open seasonally. Plan to spend a day here, at least. Memorial Stadium in Lincoln turns into the state’s third largest city on Husker football game days. Attending a game is quite the experience, especially for young football fans. Football isn’t the only must-watch University of Nebraska-Lincoln sport. The women’s volleyball team are consistently ranked among the best in the nation. Games are exciting to watch! Whichever team you go to watch, be sure to wear red. If you’re traveling across Nebraska, chances are good that you’re traveling Interstate 80. Plan a stop at Exit 426 because there is quite a few things to do just off the interstate. You can see animals native to North America, including bison and wolves, at Lee G. Simmons Conservation Park & Wildlife Safari. Nearby, you’ll find Strategic Air & Space Museum, where you’ll see aircraft and spacecraft and artifacts related to both. Round out the stop with a visit to Mahoney State Park. Mahoney is a hugely popular park, with trail rides, paddle boats, and the state’s first zipline course. If visiting the park in the summer, be sure to plan to spend part of your day at the park’s huge aquatics center. It has water slides, a wave pool, and a kid’s sprayground. 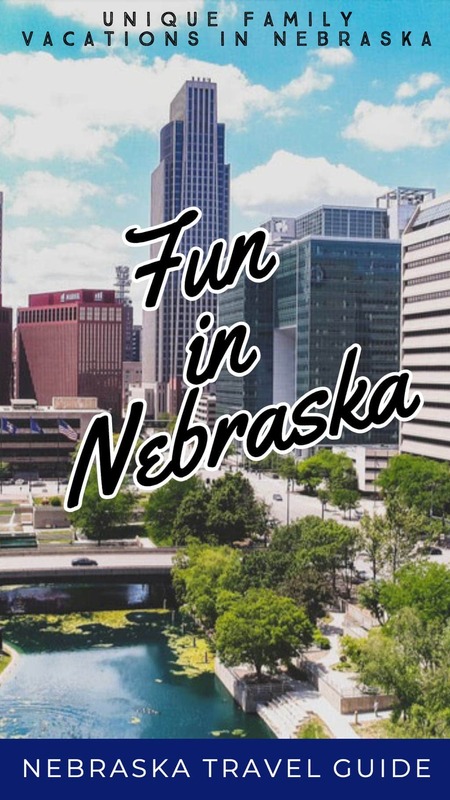 What places would you recommend to someone who plans a vacation to Nebraska? Born and raised in Nebraska, Kim’s been exploring state for decades. Her blog, Oh My! Omaha, highlights things to do in the state’s largest city, as well as family travel throughout the Midwest and beyond. 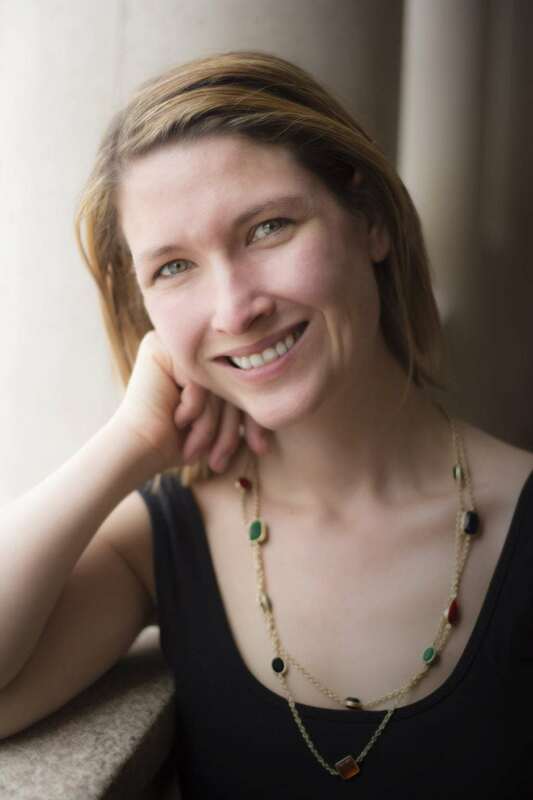 You can follow Kim at OhMyOmaha.com and on Facebook, Instagram or Twitter. If your family loves nature, adventure or metropolitan cities, a visit to Nebraska may be for you. 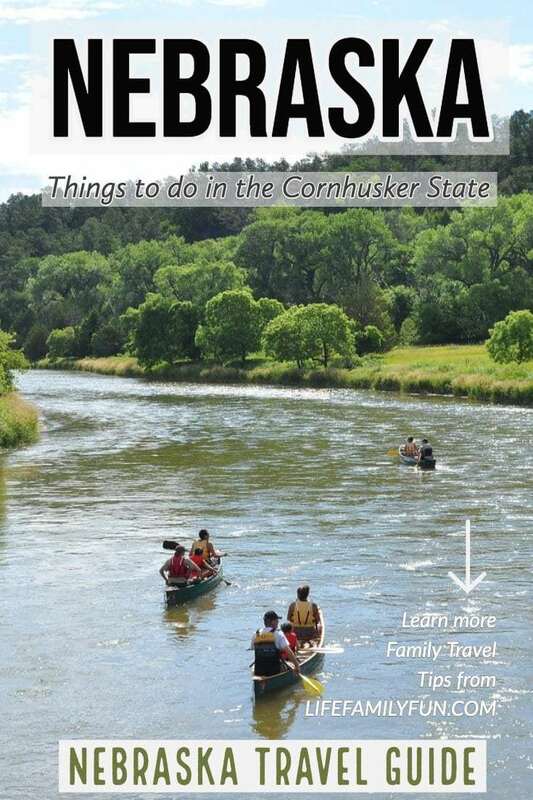 Here’s a list of some of the top family-friendly things to do in Nebraska.